Their plan for Boston was remarkable in its scope and ambition, encompassing everything from fireworks regulation to single-tax reforms. Some of these enthusiasms, like the campaign to spread Esperanto as a universal language, ended as footnotes to history. Others, like the creation of a Municipal Athletic Association to coordinate sports and outdoor recreation for children, were so successful that they became a nationwide model. But many of the worries that drove the 1915 movement still frustrate us today. Its leaders were concerned about inequality, soaring housing costs, the fracturing of cities into divided communities, and the failure of the private market to produce humane landscapes. Those concerns are again front and center in 2015, though the policies we propose to confront them often look strikingly different. Local residents in the 1900s were dealing with issues we still face 100 years later. Examining the way Boston once faced those challenges reminds us that a city’s future is not determined merely by the tectonics of the world economy, the whims of local politicians, or the inscrutable hand of fate. Ideas and dreams have power to shape the city, too. 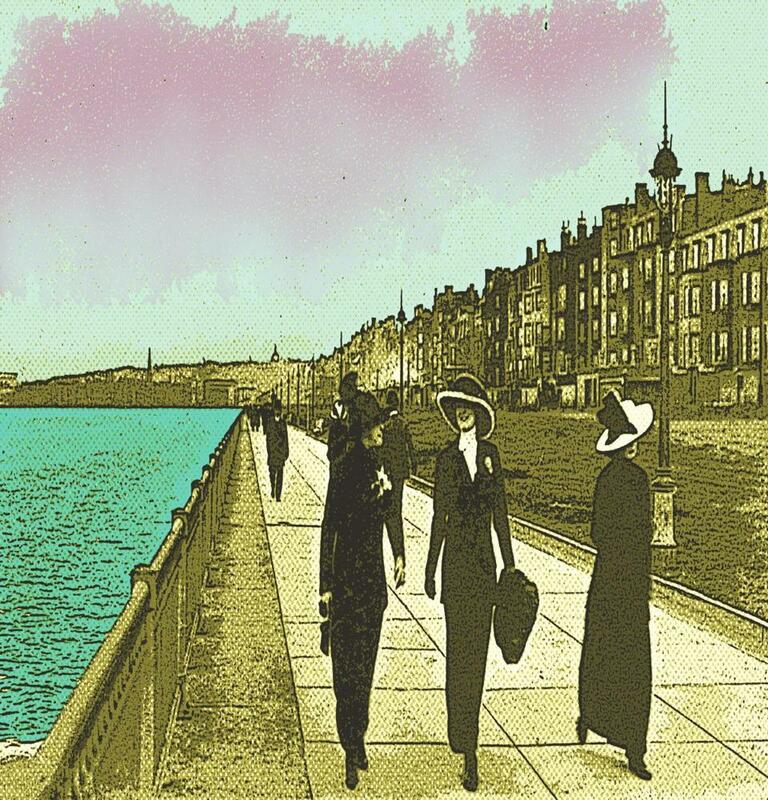 And some ideas for a future Boston in 1915 could echo in today’s dreams for Boston in this new year. 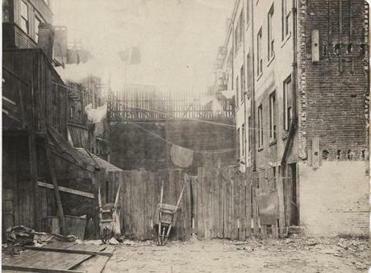 In the early 20th century, Boston was changing in striking ways. From 1860 to 1910, its population had nearly doubled, and the old-line Yankees who once constituted its governing class were being challenged by the rising power of immigrants and working families. A vast gap between the rich and poor widened, housing costs skyrocketed, slums began to crowd the old downtown, and communities on Boston’s fringe that had once been sleepy farming towns found themselves absorbed into an industrial metropolis. Spearheaded in 1909 by an influential group that included the businessman Edward Filene and the lawyer and journalist Louis Brandeis, the Boston-1915 movement was rooted in civic pride as well as civic anxiety. Its leaders worried that other cities were doing more to address the crises of modern urban life, and fretted that Boston’s enlightened reputation, as well as its commercial prominence, was at risk of eclipse. Their campaign is little-remembered today, but archives in Boston and elsewhere reveal a movement with great sweep and ambition. They launched publicity campaigns and publications, including a reform-minded magazine called New Boston, and began an assault on urban problems from almost every possible angle. The leaders convened a committee on housing, which took aim at the private real estate market and the tenement owners who devoured workers’ wages, proposing strict building codes and better inspections. Emphatic that Boston’s growth should be both beautiful and accessible, they hoped that the city would become one of the first to import the model of cooperative building societies which German and British labor unions were using to construct new middle-class districts. They suggested using public money to finance downtown subways and rural trolleys to connect good housing with good jobs. At a time when the state’s responsibilities were far more limited than today, many of these projects suggested a vastly expanded mandate for government power. To confront tuberculosis, the Boston-1915 leaders proposed free clinics, better funding for public health officers, and mandatory sanitation programs. To counter infant blindness, the reformers convinced the state to make preventive treatment for the disease available free of cost in 1910—one of the earliest universal health programs in the country. At the Copley Square exhibition, a machine offered a metaphor for the power of civic cooperation: One set of rotating discs spun disconnectedly and failed to move a set of clock hands, while another set of discs, working together, moved the clock forward. “See the point?” the caption asked. These metaphorical suggestions were backed up by gallery upon gallery of practical civic amenities for improving urban life. In Room 8, “talking arc lights” gave lectures on health and sanitation, urging citizens to support a public health service to combat disease. The exhibits in Room 9, on “parks and playgrounds,” demanded that Boston build a zoo, aquarium, fresh-water garden, Charles River boat service, and a network of cheap electric trolleys connecting to recreational facilities, all by 1915. Elsewhere, maps and plans showed how a comprehensive regional transit system might knit together the disconnected corners of the metropolis. 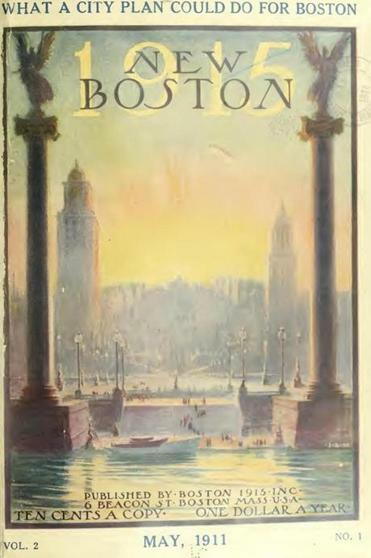 The cover of New Boston Vol. 2, No. 1 (May 1911). When it came to practical ways for making this mass cooperation work, the Boston-1915 reformers found themselves drawn to another new idea: city planning. At the time, this was a profession in its infancy. Landscape architects at Harvard had established the nation’s first professional courses in planning 1900, and the program’s instructors and graduates, including Frederick Law Olmsted Jr., found Boston-1915’s publicity campaigns the perfect organ for popularizing their progressive ideas. Boston thus became a national incubator for the theory and practice of city planning. In the 19th century, elected officials and city engineers had been the junior partners to private land speculators and industrial developers. Such an arrangement, reformers believed, was neither democratic nor efficient. They saw professionally trained planners, acting in the public interest, as the proper stewards of a new city’s complicated mechanisms. Their vision of city planning was not only politically ambitious, but also geographically broad. They worried that effective planning was being crippled by state’s 300-year-old patchwork of separate cities and towns, and began to advocate for what they would eventually call “Real Boston”—a much larger metropolitan entity governed at the regional level. Such an expanded Boston would, appealingly, have halted Boston’s slide down the statistical ranks of the nation’s largest cities, and proved that it could still compete with upstarts like Chicago. Central planning promised to make Greater Boston more aesthetically harmonious as well as economically fair, since the quilt of independent jurisdictions overlaying the “real” city made it impossible to plan for growth, and allowed outlying jurisdictions to draw from the city’s economic power without contributing to the well-being of its working classes. Most of all, though, the Boston-1915 reformers believed that the mishmash of towns was an anachronism that needed to be brought up to date. As a 1910 editorial put it: “There is a greater Boston. It is a scientific fact, not a figure of speech.” By 1911, the establishment of a new metropolitan government had become the foremost objective of a coalition between Boston-1915 and the Boston Chamber of Commerce. But here the reformers found that even their elite coalition could not overrule entrenched political interests. Hitting a wall of opposition from wealthy suburbanites, jealous county officials, teetotalers afraid of Boston’s drunkenness, and frankly racist town elders who looked on the inner city’s corrupt immigrants with disgust, the metropolitan scheme sputtered in the Legislature before eventually dying. It took the organizational structure of Boston-1915 down with it, and the movement dissipated into an uncoordinated mass of piecemeal reform efforts. Many of today’s policy makers would be scandalized by Boston-1915’s solutions to urban problems. Economists like Harvard’s Edward Glaeser often argue that our cities are ugly and unaffordable because of too much planning and regulation, not too little. Meanwhile, activists on both the right and the left have embraced a variety of localism which is hostile to bigness in all its forms. A plan to replace municipal Boston with a much broader, heavily planned metropolitan entity would doubtless meet with howls of protest from all sides of Massachusetts’ political class. But, a century later, our problems seem closer to 1915’s than ever. “Real Boston” continues to march outward, from the 128 belt to the 495 belt and beyond, yet metropolitan governance remains the province of a handful of special-purpose agencies, like the MBTA. To build better and cheaper homes, to nurture young people and connect workers to jobs, to plan for growth and begin to address global challenges like climate change, cities like Boston need a “get together spirit” even broader than the one envisioned in 1915, so that the transitions and promises of the new century are distributed fairly across classes, interests, and communities. Yet increasingly we find ourselves in what historian Daniel Rodgers calls an “age of fracture,” as the glue of commonality dissolves and our shared future falls apart. At the beginning of the last century, in the midst of economic vertigo and rapidly changing urban dynamics, business leaders banded together with reformers and technocrats to imagine a planned future Boston: a Greater Boston that would be greater not only in geographic size, but in human well-being. We might do well to recover some of those dreams today. Garrett Dash Nelson is a doctoral student in geography at the University of Wisconsin Madison. He is on Twitter @en_dash.